The only constant in life is change…and it's not always for the better. 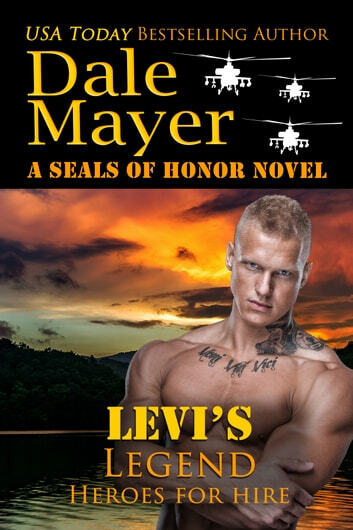 After an operation gone wrong that laid him low, Levi's obsession to find the men who betrayed him has grown to the point where nothing else seems to matter to him anymore. Although he's physically recovered from his injuries and has started his own company, Legendary Securities, when he catches the scent of the last man on his most-wanted list, he becomes a missile locked on his target. The very man he's hunting is hunting him as well…and fully intends to finish the job he started by taking Levi out once and for all. For every step of Levi's journey toward rebuilding his life, Ice has been there for him. The places where she can't join him--where he won't allow her inside--are the hardest ones to reconcile because she knows their relationship has reached an impasse. One wrong word, one false step may mean the last kiss for them…and ultimately the end of the road for all her hopes and dreams. Just as Levi has been at a standstill, waiting to get his final revenge, Ice can't resolve the heart of her conflicts until the monster that nearly destroyed their world is brought down for good. But the killer isn't just targeting Levi anymore. If she and Levi don't move fast, their future--whether separate or together--will be forfeit. You are my favourite writer you never disappoint in anything that you wright. Great new series can't wait for the next one. Please we need access to your stories on ebooks. very limited ebooks series. Thanks for keeping me excited and entertained. Love your heroes. 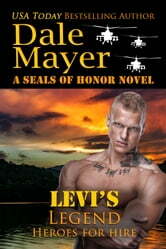 Another great read by Dale Mayer. Full of suspense and lots of action. A page turner for sure and just love the way all the characters intertwine and bring the story together. Great job! !